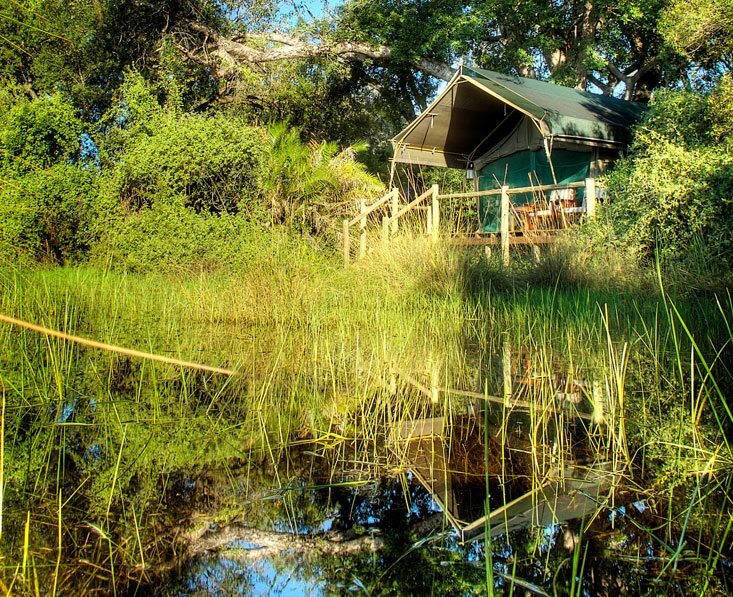 This safari showcases some of Botswana’s prime wildlife areas. 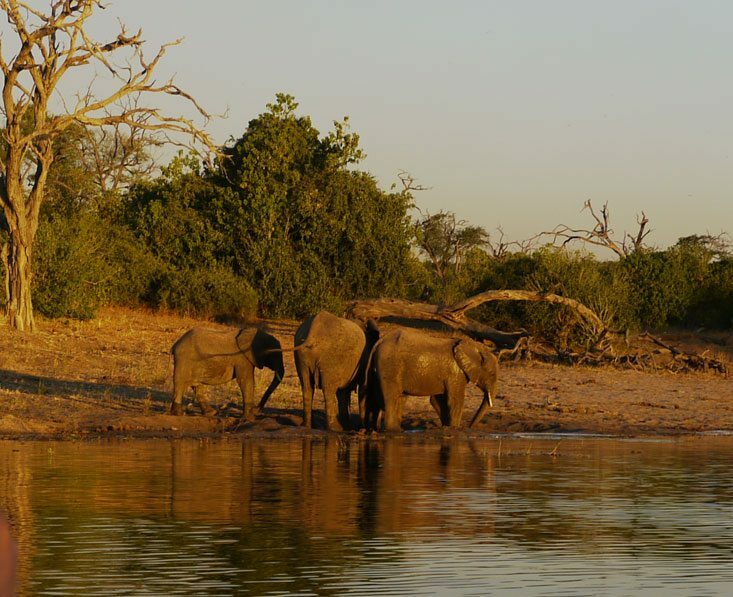 You’ll take leisurely mokoro rides and go for guide-led island walks in the Okavango Delta, see vast herds of elephant in Chobe and witness nocturnal creatures on a night drive. Add Vic Falls and this is a heady mix, too. Each day will be filled with activity, excitement and gasps of wonder. 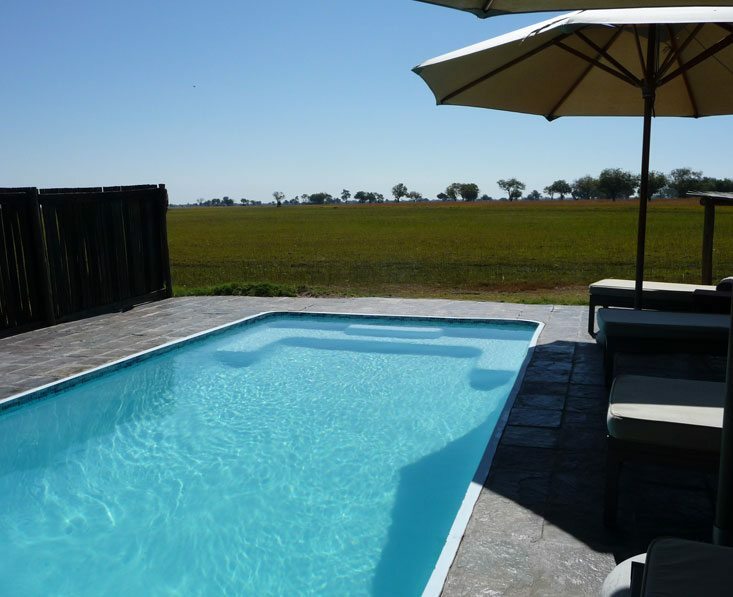 The accommodation is pretty special, too, so you’ll feel well and truly spoilt on your African odyssey. On arrival at the Victoria Falls airport you will be met by a local representative and transferred the short distance to The Elephant Camp. 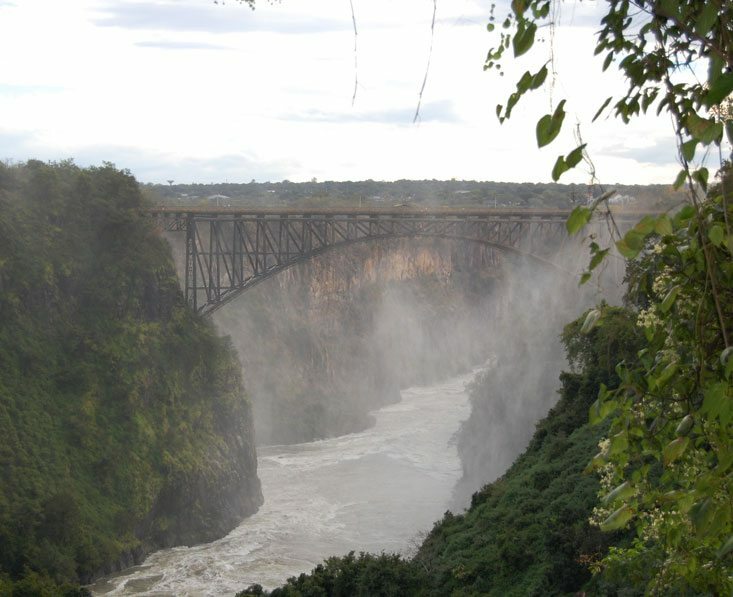 The camp overlooks the impressive Batoka Gorges and you’ll have a free afternoon to rest after your flight, chatting to other guests in the lounge and getting some ideas for possible activities tomorrow. Day 2 You can spend all day at Vic Falls where there’ll be plenty of activities to keep you busy, whether you want adventure in the form of white water rafting and bungee jumping, or plump for a more relaxed walking tour and boat cruise. You’ll be able to relive the day’s highlights over dinner tonight. After an early breakfast you’ll be driven to the Botswanan border and, formalities completed, on to Chobe Game Lodge, the only permanent lodge within Chobe National Park. You’ll arrive in time for lunch and time to enjoy the views or go for a swim. Later, as the heat abates, you’ll set off for your first game drive, spotting elephant, zebra and buffalo among others. You’ll be back in camp for a delicious dinner. Day 4 Today will be dedicated to game viewing activities. 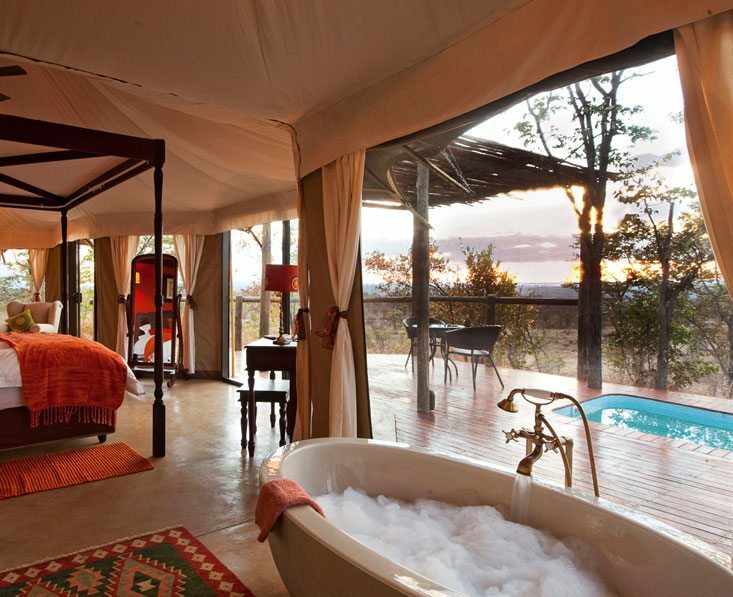 You’ll have a choice of game drives, guided bush walks, river cruises and bird watching. 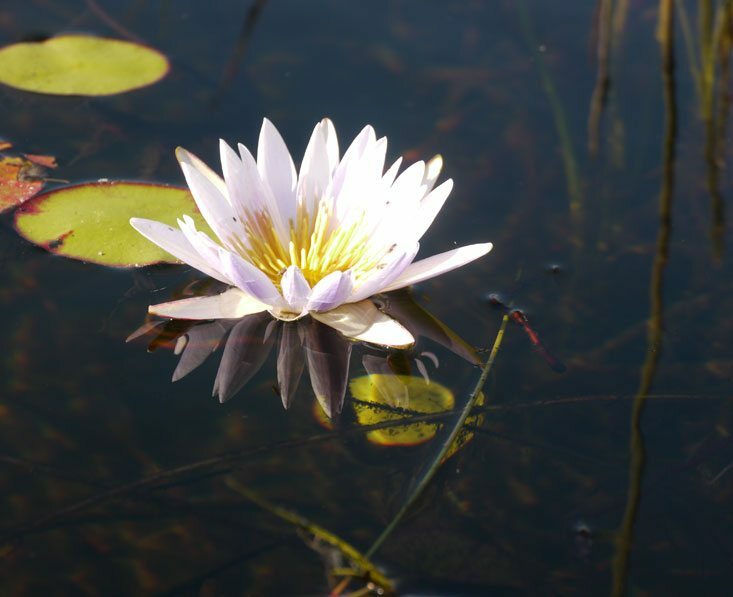 Whichever combination you select this will be a day to remember as you witness the flora and fauna of Chobe with your expert guide. You’ll return in time to shower and sip a sundowner as you swap stories with other guests before dinner. 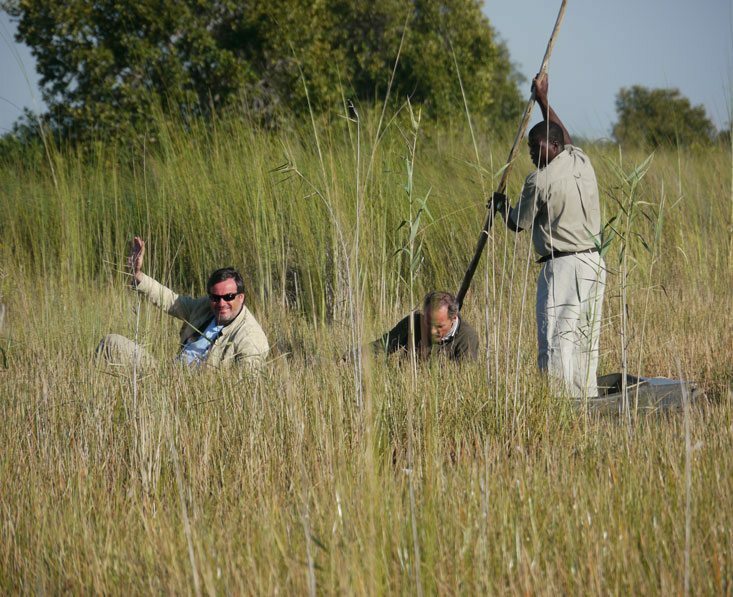 After breakfast and a morning activity (time permitting) you’ll board a flight to the Okavango Delta, where you’ll meet your guide for the transfer to Kanana. Lunch will be served followed by time to rest before the afternoon game drive in the private concession. Sit back and take in the beautiful scenery with its lagoons, water channels and palm-dotted islands, and, of course keep your eyes open for wildlife! You’ll be spoilt for choice today, with a range of activities spanning day and night game drives in open 4×4 safari vehicles, traditional mokoro trips in the waterways, motorboat rides, guided walks, fishing and sunset cruises. You’ll have time to relax in the middle of day, cooling off with a swim and enjoying a light lunch. 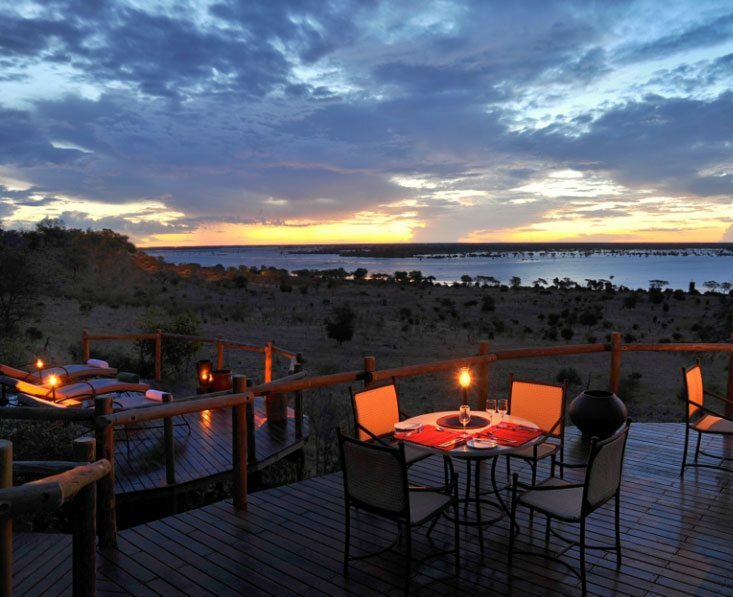 The evening will begin with drinks round the camp fire before dinner by lamplight on the deck. 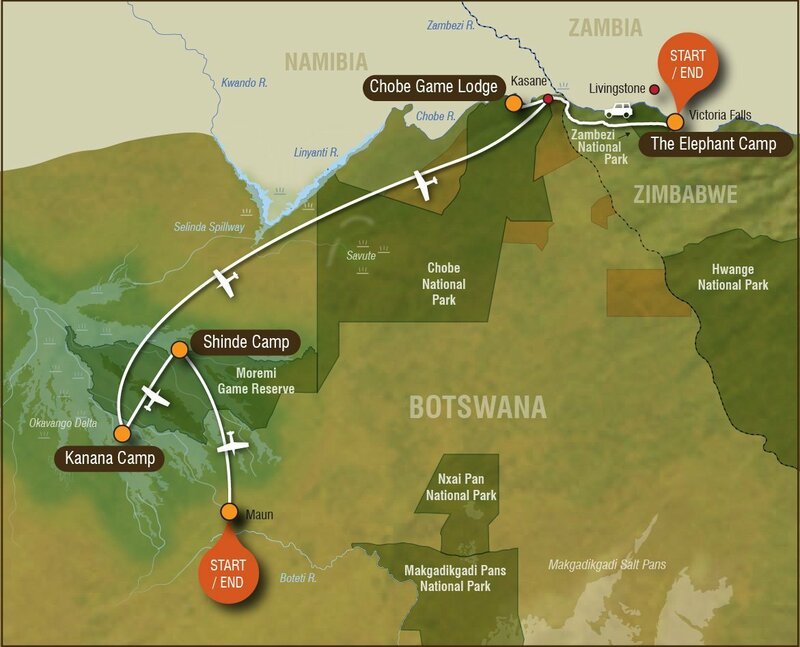 After your morning game drive and breakfast you’ll have a light aircraft transfer to your next camp. 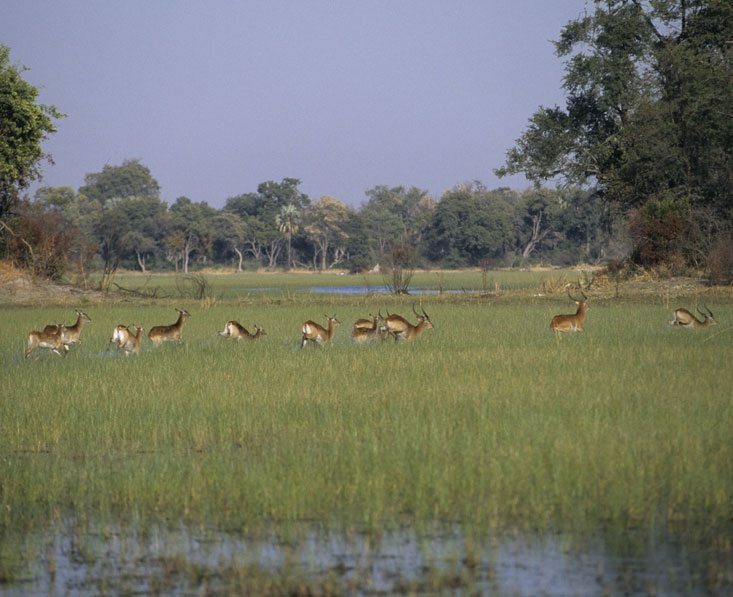 Shinde is on an island in the northern Okavango Delta. This area can be explored by water and on land and this afternoon your guide will lead you on your choice of game viewing activity. Later you’ll have time to meet other guests as you gather round the fire for drinks before sitting down to dinner in the elegant dining room. Day 8 This is your final full day of wildlife viewing. 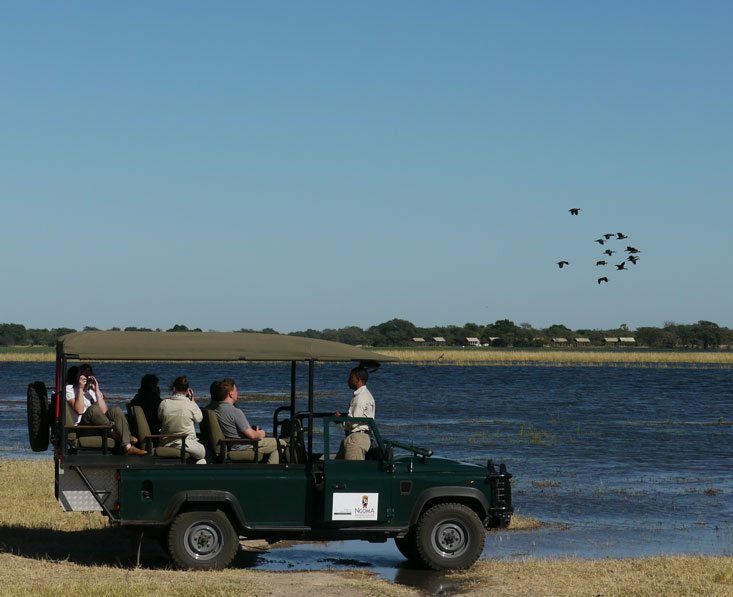 Game drives here often include sightings of lion and leopard, tranquil mokoro rides offer close up views of birds, and walks give you the chance to immerse yourself in the environment. In each case you’ll have the benefit of your guide’s knowledge and infectious enthusiasm. By now you’ll be well on your way to becoming a safari expert! Enjoy dinner and a nightcap, toasting your holiday, before retiring to bed for a good night’s sleep. It’s time to head for home. After breakfast and a morning activity (time permitting) you’ll bid the staff at Shinde farewell and fly to Maun to connect to your onward travel arrangements. This trip starts in Victoria Falls and ends in Maun. From the UK, we recommend getting a flight with a combination of British Airways, Air Botswana and/or South African Airways via Johannnesburg. A rough price guide for flights is £1200 per person (possibly as low as £900 in low season but as high as £1400 in high season economy). Kanana and Shinde close between 5 Jan and the end of February. We can choose a different camp at these times. We can change this trip in any way, from duration to places and accommodation. This will of course affect the price. This trip can be done in the reverse order. Accommodation on a full board basis, local drinks, road and light aircraft transfers, daily activities as listed, park and concession fees. Visas, international flights, vaccinations, premium drinks, optional activities, travel insurance, items of a personal nature.